Emily J. Thompson is the Director of the Suzuki Violin Program at Indiana Wesleyan University in Marion, IN. 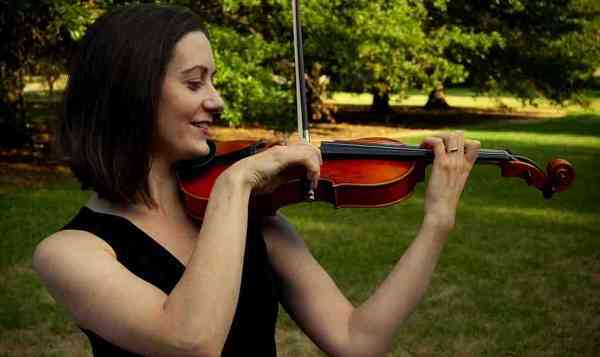 Emily has a Bachelor of Music in Violin Performance from Bowling Green State University, where she studied with Vasile Beluska and Penny Thompson Kruse, and a Master of Music degree from Indiana University in Early Music (baroque violin), where she studied with Stanley Ritchie and Brenda Brenner. She studied violin pedagogy with Mimi Zweig at the Indiana University String Academy, and took Suzuki Teacher Training from Doris Preucil and Christie Felsing. Emily has also taught at Indianapolis Academy of Music (IAM) and as an assistant in the IU String Academy.